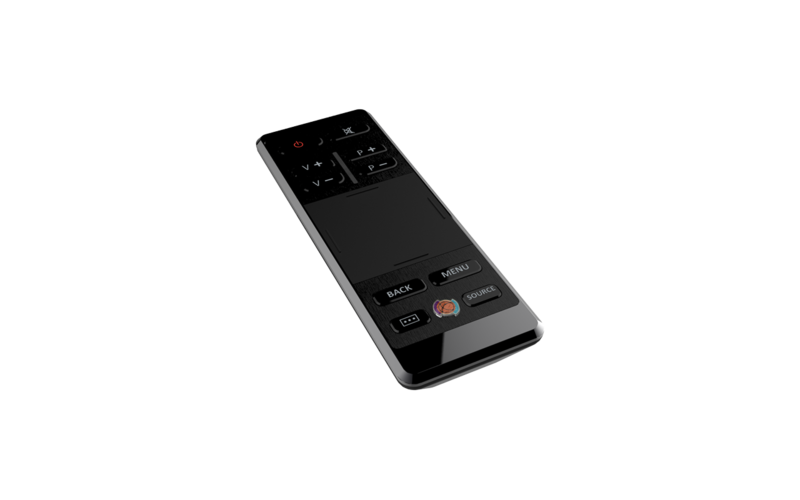 The remote control is one of the mostly underestimated devices. But in everyday life, it is the most important, if not the only interface between the user and his product, especially the TV set. Vestel has created an absolutely minimalistic design with the RC 1600. Only a few, mechanical buttons for the main functions help to reach them in the dark also, a touch pad serves for navigation through more complex parts of the menu. A specifically designed button gives access to online functions of Smart TVs. Communication with the TV set is done via Bluetooth. The case design of the RC 1600 has been adapted to the current TV series, thus creating a harmonic overall look.